When large families visit Tucson or the beach for a vacation, it’s a great idea to hire a photographer to capture the memories! Most of the time, big families are only together for weddings, reunions or funerals, so having the chance to get together and enjoy vacation but also get a photo session during vacation is ideal! 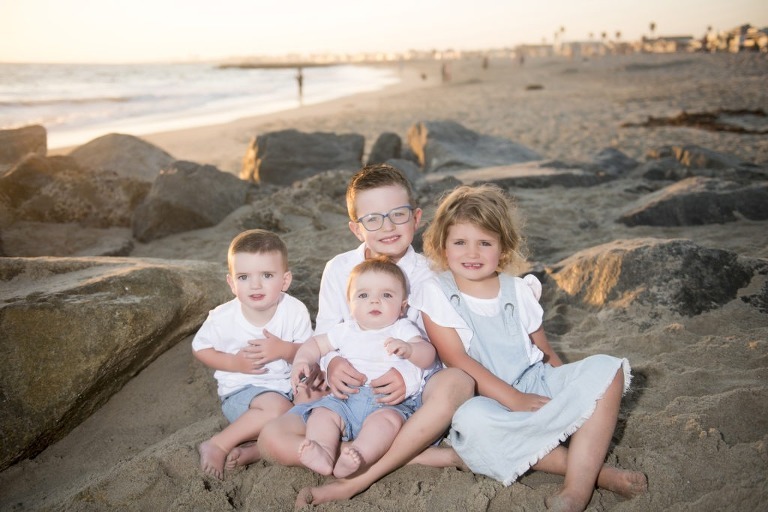 These Newport Beach Family photos show off the best of the California Coastline and all the smiles with this fabulous family who came to Newport Beach for vacation. 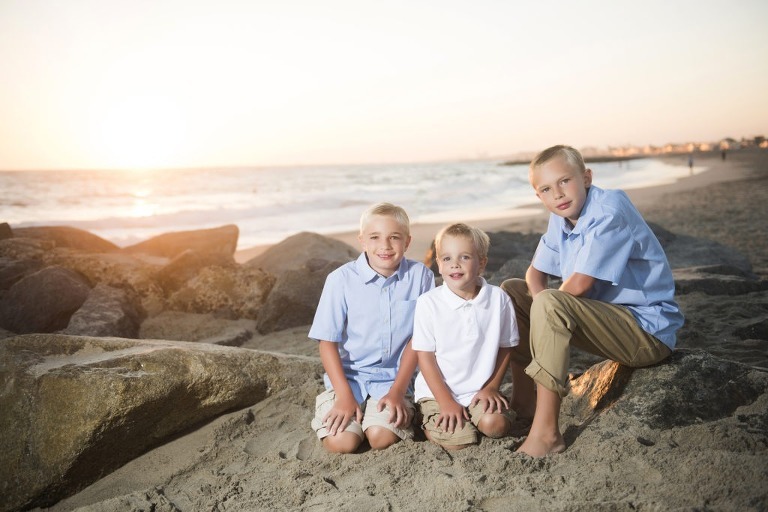 The beach is the perfect place for family photos, especially at sunset. 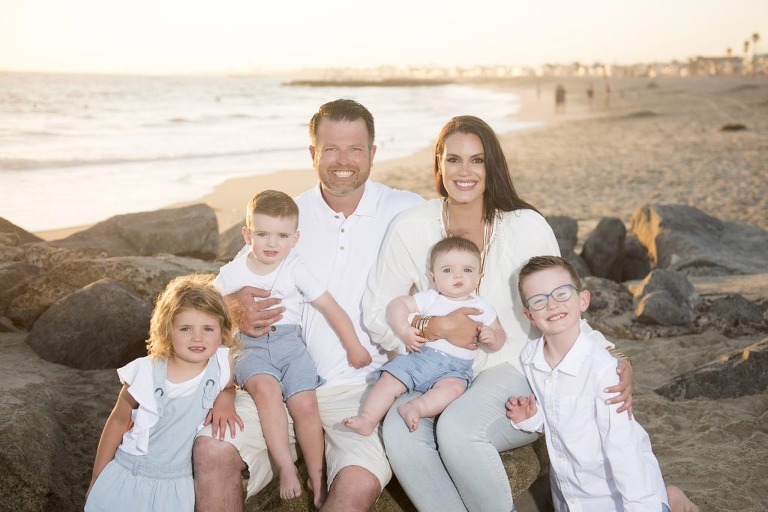 These Newport Beach family photos (which occurred mostly as the sun was setting and just after sunset) showcased the best of the family without the too-bright light of the sun (and instead I brought my off-camera lights to the session to add a dynamic lighting concept). But some families love that light, bright, airy beach look, and I can do that too! Click here for a sample of that (coming soon). Family photo sessions can be fully customized to suit the style of the family. I always capture photos of the whole family together and then I break the family up into smaller family groups as well as photographing the children and couples by themselves. I have years of experience photographing families so I can pose large groups (as large as 50 or more which I routinely do at weddings) and doing sessions both indoors for large families and outdoors. Here’s a link to another large family session in the high desert of Tucson. 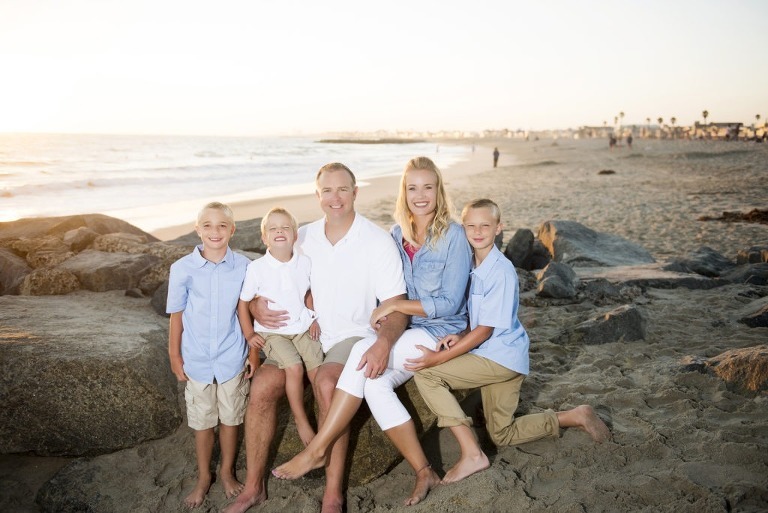 Whether doing Newport Beach family photos or a family photo session in the desert, if you’re vacationing with your large family, I can help you capture the best of everyone in a photo session tailored to fit your family and your needs! and mom and dad know that I do the best I can with what’s happening – and these really are the memories that tell the whole story!